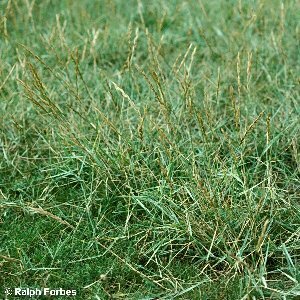 This is a universal constituent grass of saltmarshes around the coast, and also on rocky shores in crevices and clefts of rock. All names: Puccinellia maritima (Huds.)Parl. ; Glyceria burdoni Druce; Glyceria festuciformis auct. ; Glyceria maritima (Huds.) Wahlb. ; Sclerochloa maritima (Huds.) Lindl. ex Bab. ; Sclerochloa festuciformis Britten & Rendle pro parte; Poa maritima Huds.